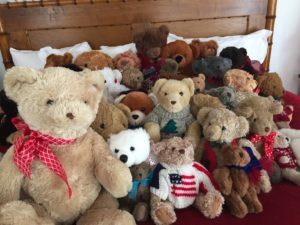 We love how creative people are with names for our big teddy bears that join the Martha’s Vineyard Teddy Bear Suite each year! Our tradition is that we add a new Big Bear each year, and you help us pick the name thru social media. Here was the big reveal! Here Are The Top 10 Names Entered So Far! Keep the names coming though. We’ll pick the top vote getter just before the doors to the Teddy Bear Suite open on December 1st. 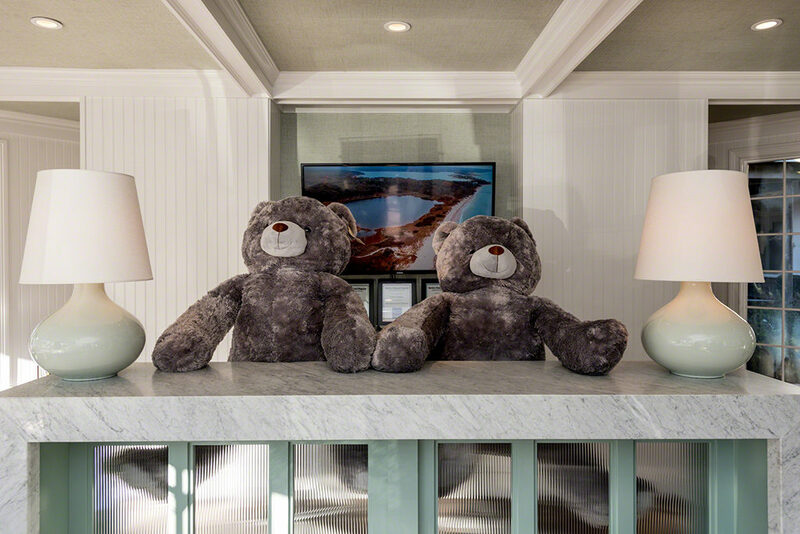 This new addition to the bear family of the Martha’s Vineyard Teddy Bear Suite is our seventh big, larger-than-life bear. Can you believe it? He/she joins six other bears that are bigger than me — Obie, Quinn, Edgar, Lambert, TisBeary, and Chappy, and the hundreds of other teddy bears that create the magic of the Teddy Bear Suite. I love that people are keeping the Island name theme going! Just write your idea below in the comments box or you can email us. If you prefer other social media channels, you can easily find us and vote on our Point B Facebook page, @pointbrealty Instagram page, or on our Twitter page. 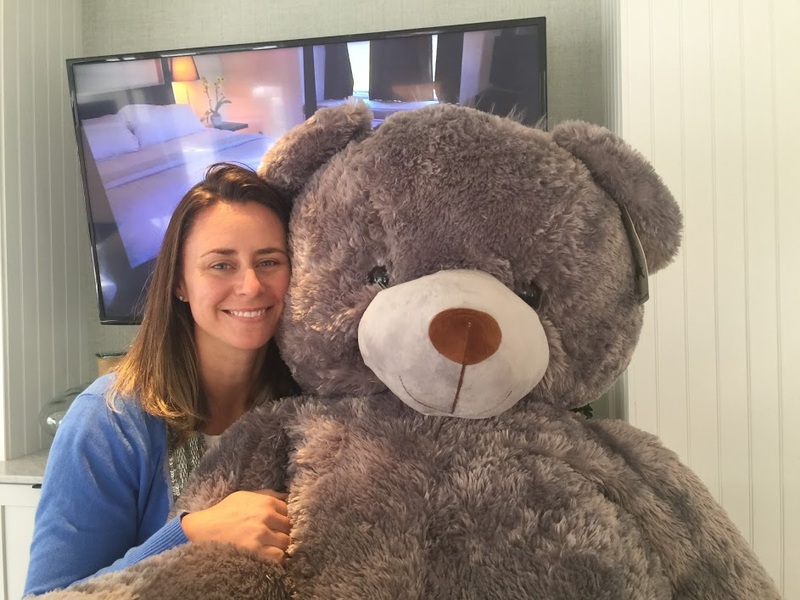 And of course, we have a hashtag for ALL things Teddy Bear Suite related #mvteddybearsuite. Please use it. We’ve added a fun new social media feed right into our website. Check out the Photo Feed. Want to know something very special about this year’s “naming of the bear?” The person who suggests the winning name, will win five raffle tickets for the chance to win this bear’s twin to call your own. How can you have your own big grey bear? Well, we’ve got twins this year — one for the suite and one for you to win. 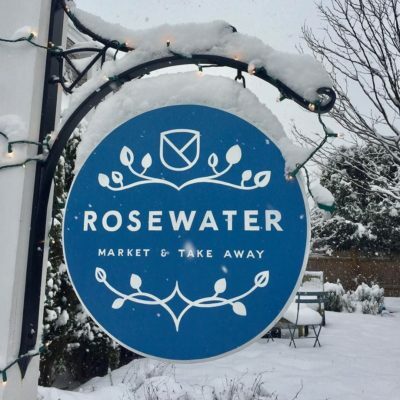 For the month of December, you’ll be able to meet the new big bear in real life at Rosewater Market. We’re having a month long raffle, tickets are $5.00 or 5 for $20.00. We’re so excited for the addition of this raffle to the Martha’s Vineyard Teddy Bear Suite Fundraiser. People have asked us many times over the years, how they can get a big bear to call their own? Now you can! All of the proceeds of the raffle go directly to the Martha’s Vineyard Boys & Girls Club’s Healthy Happy Kids, their program to address childhood hunger on the Island. We will pick a name and the winner on the opening day of the Martha’s Vineyard Teddy Bear Suite, December 1st. 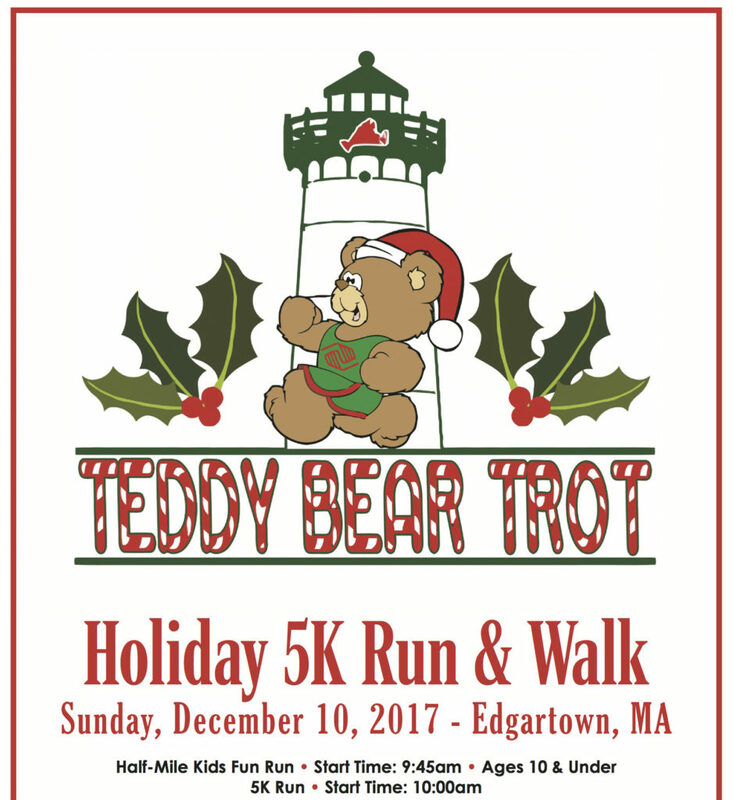 Also, save the date for the 3rd annual Teddy Bear Trot happening during Christmas in Edgartown. The Teddy Bear Suite will be open for the first three weekends in December, beginning on December 1st, at the Harbor View Hotel Captain Collins Cottage #21 in Edgartown. Our Events Calendar has all the days and hours. 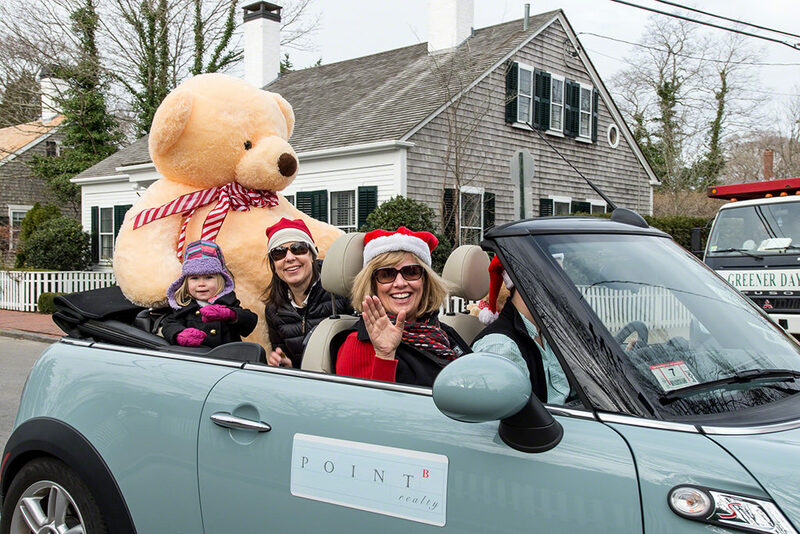 We’ll also be leading the Christmas in Edgartown Parade in three MINI Coopers with our new big bear and others. this is always a lot of fun. We look forward to having you join us for the seventh year of creating holiday magic with the Martha’s Vineyard Teddy Bear Suite. 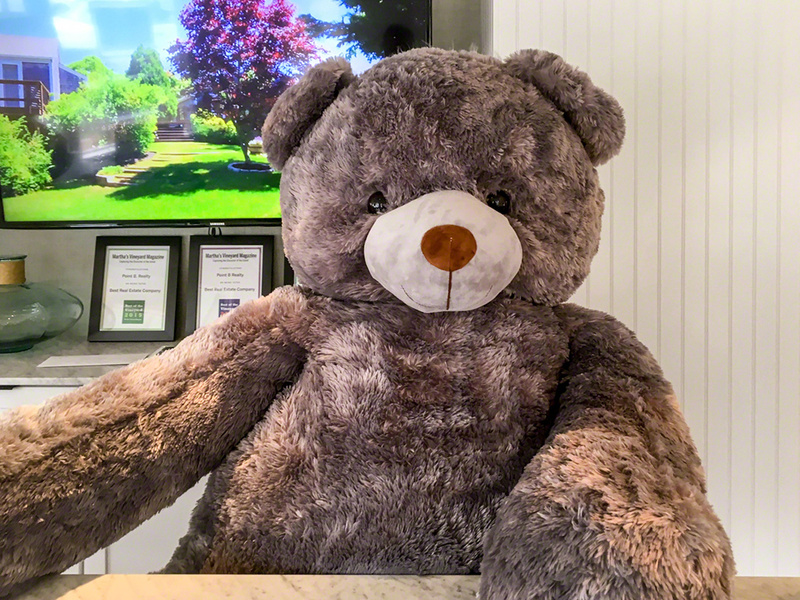 You will find all you fuzzy friends, including this new big bear at the Harbor View Hotel’s Captains Cottage #20. If you want to make a donation to the Martha’s Vineyard Teddy Bear Suite and help with Healthy Happy Kids which costs $50,000 a year to fund, click here. 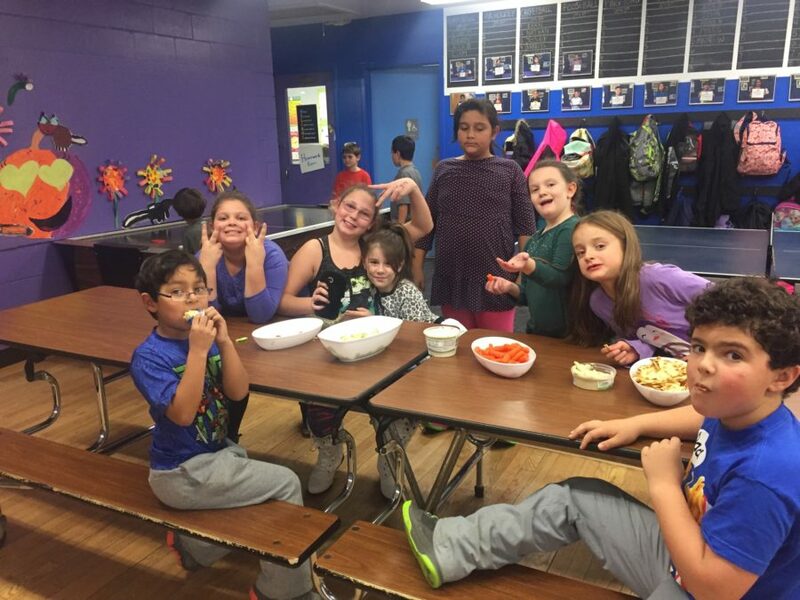 You can learn more about The Martha’s Vineyard Boys & Girls Club on Facebook. Don’t forget to “Like” us on Facebook, and follow us on Twitter, Linked In, Google+, Pinterest and Youtube. Love the play on Bear! I vote “Moshup.” I agree that the bear’s color reminds me of fog! Caroline – I love that so much! That’s so fitting -even better than my old fav Katama. Love the color of the new bear! I like the name “Amity”. I like the idea of keeping the name associated with the island in some way!